The UEFA Europa League has more than its share of critics but one thinks some of this week’s matches could be action packed and these games lend themselves to goals wagers. Krasnodar and Leverkusen face off in Russia on Thursday and the ingredients for over two and a half goals are there, not least because the Factory Team have become even more attack minded since Peter Bosz became their boss two days before Christmas. Leverkusen has won three of its four subsequent German Bundesliga matches and three of them have gone over two and a half goals, including last weekend’s crazy 5-1 away victory for the Factory Team over Mainz. Currently, Leverkusen is working harder than its German Bundesliga rivals, covering more ground and hitting the target with greater frequency. Bosz’s approach is working so one does not expect him to adopt different tactics for Thursday’s UEFA Europa League game against a Krasnodar side that has not faced a competitive assignment since mid December. 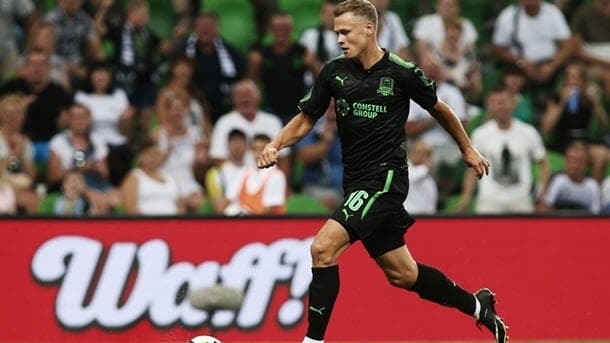 Second on the Russian Premier League ladder, Krasnodar has fulfilled six UEFA Europa League fixtures to reach this stage of the tournament and five of them have gone over two and a half goals. Furthermore, Krasnodar is yet to feature in a Russian Premier League goalless draw this season and most of its tough divisional games have been high on goals. Krasnodar and Leverkusen are domestic entertainers, the Bulls are strong on their home pitch and the Factory Team profiles as a side that will actively pursue an away goal, not least because they are the clear match favourites. Get the best odds in the UEFA Europa League with our selected bookmakers below. Another UEFA Europa League game worth watching as a neutral may be Thursday’s clash between Shakhtar and Frankfurt in Ukraine at 47/50 1.94 -106 0.94 -1.06 0.94 with 188Bet. Similarly to Leverkusen, Frankfurt visits a team that is vulnerable because it has not played a major match for quite some time. Frankfurt has treated the UEFA Europa League with considerable respect this term, so much so the Eagles became the first German side to win all six group games in the competition. Frankfurt’s German Bundesliga matches are averaging a very healthy 3.19 goals and 15 of its 21 league games have gone over two and a half goals. Shakhtar leads the way in the Ukrainian Premier League and its aborted UEFA Champions League campaign was fun to watch while it lasted, with each of its six pool matches featuring at least two goals and five of them going over two and a half goals, which is the magic number of most punters. If you are looking for a conventional UEFA Europa League bet then Arsenal really ought to take care of business against BATE in Belarus on Thursday at 11/25 1.44 -227 0.44 -2.27 0.44 with Betway. Chelsea beat BATE 1-0 on the road earlier this season and Arsenal is level with the Blues on 50 English Premier League points after 26 rounds so it is perfectly fair to suggest they are of roughly equal ability. 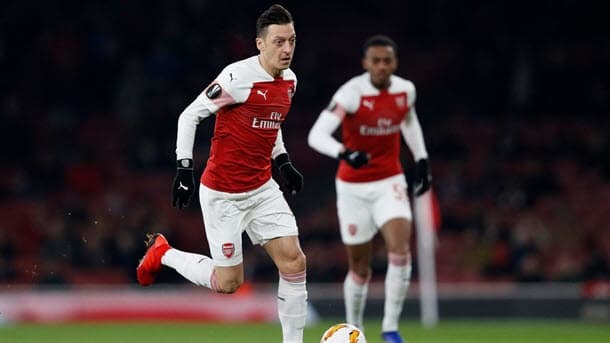 Another positive for Arsenal is BATE’s squad is not fully fit due to the break in its domestic schedule, which is a challenge that so many northern teams face in European tournaments. And Arsenal did overcome stronger sides than BATE when the Gunners travelled in the previous phase.